Science and spiritual development have always worked together. There is an anecdote about Sri Ramakrishna, a great saint of India (1836-1886), when a disciple came to him and told him that after 20 years of meditation and penance he had mastered the art of walking on water. 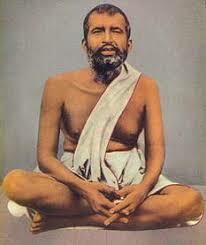 Ramakrishna replied “fool, you have wasted your life. I can do the same thing by giving a paisa to the boatman!” Sri Ramakrishna, possessed immense yogic powers and understood the value of technology “for easing the drudgery of life”. In his book, Nature of Human Though, Essays on Mind, Matter, Spirituality and Technology*, Dr. Anil K Rajvanshi, attempts to fuse ancient Indian Yogic thought with modern cosmology and brain research, sighting recent scientific evidence which suggests that “human beings are wired to think about spiritual matters once their basic needs are met”. He argues that a Yogi can make his body powerful enough to overcome the “ impediments of nature”, these powers are supposed to help him “in the path of spiritual growth, something that we do with technology”. Dr. Anil, who is an expert on the use of technology and science to achieve environmentally sound rural development, believes that technological progress also unravels a lot of hidden areas and “helps us understand the power and greatness of nature”. For example, present technology allows for building extremely sophisticated telescopes, which in turn allow scientists to look deeper into the universe in order to understand how it was formed. Dr. Anil adds, “spirituality is nothing else but understanding ourselves and the laws of universe through the tools of science and technology”. Technological progress is a natural process of the evolution of mankind; and similarly, “only those societies that are technologically advanced will also become spiritually advanced” since “advances in technology is a necessary condition for large-scale spiritual progress”. Michael Bauwens, an active internet consultant, also believes that “the world is utterly and irreversibly changing right now thanks to the exponential growth of the Internet”. If you think about it, in pre-literate times, progress depended on the capacities of humans to remember oral history, and progress was very slow. Bauwens writes: “this sort of massive computer networking changes human relationships with time and space in a fundamental way…much of the world is experiencing an important shift in the way in which it works.” Bauwens believes that in order for humankind to survive technological progress, we “would need an equivalent ‘moral’ upgrade… [where] the new edge of technology may need the new age of reviving of spiritual practice. Without them, we may not be able to survive”. As a practicing psychic who offers spiritual guidance, I found that I had to keep up with technology to respond to my clients’ needs. The web and email allows me, for example, to give guidance when it’s needed and in the form most convenient form- whether by email, or CD, or even digital recording; and I had to spend time learning how to do it! Today, far more people than ever are interested in life after death, extrasensory perception, and other spiritual matters due to the technological progress which allowed research into these areas. Invest in a computer and teach yourself(or ask a teenager) how to use it! A world of knowledge, self-help and guidance is literally at your fingertips. Learning something new is a sure way of keeping your brain healthy and active. International readers can have their favorite magazine, Prediction, delivered straight into their computer! A ‘flexible and well-informed brain’ is your tool to expanding your awareness, perception and thus spiritual growth. Professional intuitive, columnist and writer. Her first book, "Your Future in A Coffee Cup, The Art of divining with Coffee Grounds", is due Spring 07. Sahar teaches meditation, psychic development; and conducts workshops on tarot, the ancient art of coffee cup reading, and dream interpretation. She is editor and publisher of PS-Magazine.com. Sahar also launched the first dedicated podcasting service on spiritual and psychic matters on psychicpodcasts.com; and Podcasts4life.com - the sound of the inspiration.